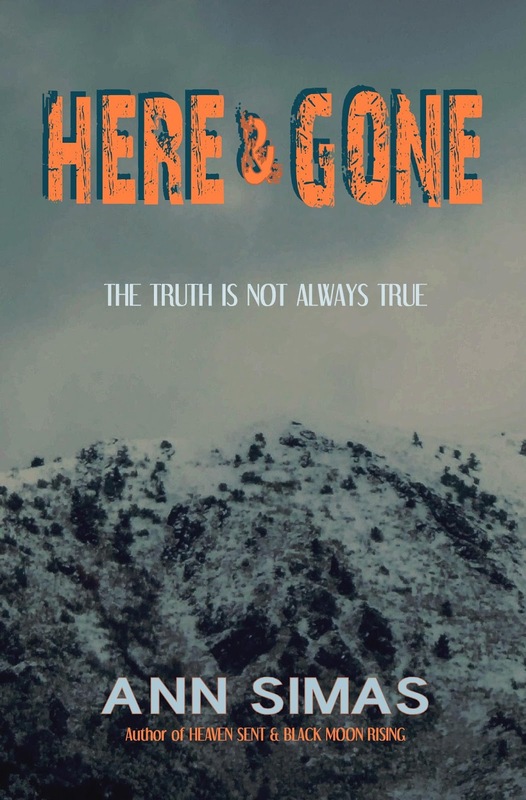 HERE AND GONE started out, not as a thriller, but as a Christmas romance under an entirely different title. As sometimes happens to a writer when the brain overrules the original thought, things changed as I began to write. About a quarter of the way into the book, I realized that while the story takes place in the weeks leading up to Christmas, it wasn’t ever going to be a Christmas romance. It was, however, a thriller with a love story. Halfway in, I stopped and deliberated a title change. I liked HERE AND GONE because it reflected the situation concerning Hannah Mason’s son, Jay, here one minute and gone the next. HERE AND GONE deals not only with Hannah’s grief and her husband’s duplicity, but her road to determination. She discovers not only her independence but her inner strength when confronted with the harsh realities of life. She’s a woman willing to take chances, even at the cost of her own life. She’s also willing to give her heart again to a man, despite experiencing the betrayal cast upon her by her husband, which left her vulnerable to a vengeful media, merciless strangers, and a ruthless detective. HERE AND GONE isn’t a thriller in the sense of jetting from city-to-city James Bond-style, but rather in a suspenseful will-she-find-him, heart-pounding sort of way. The story deals with a serious issue involving parental abduction, but it’s in no way cut-and-dried, which Hannah soon realizes when she relocates from San Diego to a small Colorado mountain town. I like to write books that are a little complicated, but keep up a fast-pace and have a unique angle. I created Pike County and Fossil, Colorado, but I incorporated existing towns, as well as the North Pole and the dinosaur center, which are key elements to the story. The villains in HERE AND GONE are hiding out in a house on a road in Woodland Park, Colorado that isn’t far from where my brother lives on the same road. I debated using a fictional versus real location, but it’s such a perfect setting for what has to happen, I couldn’t resist going with real, since I know the area. As always, I love the research part of writing and I hope readers will find that what I learned is woven throughout in an entertaining and informative way. For instance, I wanted my male protagonist, Noah Ward, who is the sheriff of Pike County and Hannah’s love interest, to drive a Ford F-150 as his work vehicle. I discovered Ford actually makes trucks specifically for law enforcement. That seems like a small issue, but this book is set in the mountains of Colorado. Sedans just don’t cut it. A few other things I learned while researching: annulment may be easier to get than divorce in Colorado, the North Pole has grown a lot since I last visited as a kid, and I should’ve made time to go into the dino center last time I was in Woodland Park. Hannah Clarke, a wife and mom one day, is a widow without a child the next. Two years later, living as H.L. Mason in Fossil, Colorado, her safe new world explodes with a revelation so shocking and horrifying she can hardly grasp it. By chance, she meets Sheriff Noah Ward, and though she’s leery of cops after being accused of killing her family, she needs help. Noah, a former Navy SEAL, agrees to do what he can, but he soon discovers the case is far more insidious than parental abduction. Hannah and Noah face another challenge, as well, because it’s love at first sight for them, but Hannah’s still a married woman. Will Hannah find her son, or will she fall prey to her deceitful husband and his cohorts, who prefer to resolve their problems by killing them? Do she and Noah have a chance to get their happily-ever-after? Ann Simas lives in Oregon, but she is a Colorado girl at heart, having grown up in the Rocky Mountains. An avid word-lover since childhood, she penned her first fiction “book” in high school. She particularly likes to write a mix of mystery-thriller-suspense with a love story and paranormal/supernatural elements. Currently, she has 22 books in print, along with 1 short-story collection. Blessed Are the Eagles, Chloe’s Spirit, and First Star are Romance Writers of America Golden Heart Finalists. Her next book, entitled Quilted to Die, will be released July 2018. It’s book 4 in the Grace Gabbiano mystery series. An award-winning watercolorist and a budding photographer, Ann also enjoys needlework and gardening in her spare time. She is her family’s “genealogist” and has been blessed with the opportunity to conduct first-hand research in Italy for both her writing and her family tree. The genealogy research from century’s old documents, written in Italian, has been a supreme but gratifying and exciting challenge for her. This sounds like an intense, interesting suspense. I will be looking for it. Thank you, Patricia. I loved writing this book and I think you'll enjoy it!